Dr. Marilyn Smith is the current director of the Vertical Lift Research Center of Excellence (VLRCOE) at the Georgia Institute of Technology, succeeding retiring director, Dr. Dan Schrage. She is also the director of the AE School's Computational Nonlinear Computational Aeroelasticity Lab, where she leads an internationally recognized and award-winning research team in the areas of unsteady aerodynamics and computational aeroelasticity using Computational Fluid Dynamics (CFD) for all vehicle types including rotary-wing, fixed wing and launch vehicles, as well as sustainable energy (wind and wave energy). As a member of the NASA FUN3D development team, she contributes to state-of-the-art unstructured algorithm development, in particular for overset, moving frames. As an affiliate of the Aerospace Systems Design Lab (ASDL), she helps to integrate high performance computing with the design process. She is also the Associate Director of the Vertical Lift Research Center of Excellence (VLRCOE), where she helps coordinate and organize rotorcraft-related research, education, and service, including acting as faculty advisor for the Georgia Tech student chapter of the Vertical Flight Society. Dr. Smith is the author or co-author of more than 200 technical publications in the fields of adaptive algorithms, vehicle aeromechanics and fluid structure interaction, sustainable energy, and biomimetic design. She participates in numerous international research partnerships including the NATO AVT 282 Technical Working Group and the US/French Rotary Wing Aeromechanics International Partnership Agreement. She is an associate editor for the Journal of Fluids and Structures, Journal of the American Helicopter Society, the Royal Aeronautical Society’s Aeronautical Journal, and the AIAA Journal. She has been a guest expert in aviation for PBS and NPR. Dr Smith is an AIAA Fellow and a Technical Fellow of the Vertical Flight Society (founded as the American Helicopter Society), and a member of the Royal Aeronautical Society. 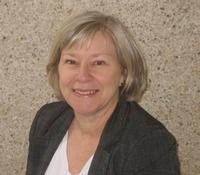 She has won numerous honors for her research, mentoring and service, including two Best Paper Awards at the 2015 AHS Forum; 2014 and 2012 AHS Agusta-Westland International Fellowship Awards; 2007 NASA Group Achievement Award; 2006 GIT Women in Engineering Faculty Mentoring Excellence Award; 2004 GIT Women in Engineering Outstanding Faculty Member Award; 1999 GIT Women's Leadership Conference Outstanding Faculty Member Award; 70th AHS Annual Forum Technical Chairperson; 69th AHS Annual Forum Technical Deputy Chairperson; 2014 Overset Grid Symposium (OGS) Chairperson and 2016 OGS Organizing Committee; and First International Aeroelastic Prediction Workshop Organizing Committee Member.